Sign up Online and Pay no enrollment fee! Only fees due are your prorated monthly amount and $10 access card fee. We look forward to providing you with a convenient, affordable, 24/7 fitness facility minutes from your home. We offer several options for single, joint, and family, including month-to-month memberships. Workout how you want, when you want in a clean, friendly atmosphere without the crowds or wait time for equipment. Our amenities include free weights, cardio and top of the line Cybex equipment to ensure a total body workout. 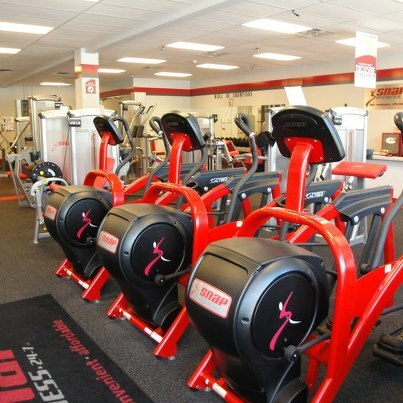 Come in today and see how Snap Fitness can help you to reach and maintain your personal fitness goals! Get fit, feel great, be well! Please be advised that our posted hours of operation are reflective of staffed desk hours only. Personal training is conducted at your convenience and members always have 24/7 access to the club. If you are unable to come in during staffed hours and are interested in signing up we accept appointments 7 days a week with a 24 hour notice. You can schedule an appointment by calling the club at 423-855-8950 during staffed hours. Thanks again for your interest and we look forward to seeing you soon!